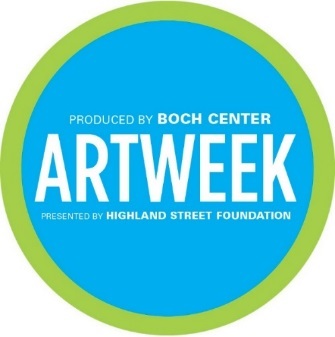 Presented by Highland Street Foundation and produced by the Boch Center, ArtWeek today announced its largest season lineup ever. The award-winning creative festival will offer more than 500 events from April 27 – May 6—more than double the size of the 2017 festival. 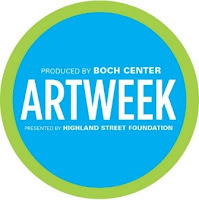 For the first time, ArtWeek events will take place across the Commonwealth, with a presence in 155 neighborhoods and towns across all six regions of the state. The festival aims to provide participants with new ways to get creative and make art and culture more accessible to everyone. This season, more than 70 percent of all ArtWeek events are free. Visit artweekMA.org to view the full calendar of events. "When we joined forces with Highland Street Foundation in 2013, I had no idea that there would be such enthusiastic support and demand for redefining cultural experiences and allowing people to take creativity into their own hands," said Josiah A. Spaulding, Jr., President and CEO of the Boch Center. "Not only does ArtWeek provide hundreds of free and affordable creative events, it also spotlights the rich cultural community that exists across Massachusetts. We hope everyone will come out to participate in one—or more—of the many terrific ArtWeek events!" The 2018 festival offers something for everyone, including a number of family friendly events. Participants can dine like Ernest Hemingway in South Yarmouth, take a lighthouse photography workshop in North Truro, view projections of local immigrants at Boston #StandsWithImmigrants, walk across the low wire with Circus Smirkus in Newton, attend a musical workshop with the United States Air Force Jazz Band in Franklin, enroll the kids in a wizard workshop in Worcester, create a cardboard sculpture in Lincoln, take a tour of public art in Salem, go behind the scenes to watch HGTV's Deek Diedricksen build a playhouse in Brockton, stage a living tableau in Plymouth, make a backyard bee house and participate in a conversation on sustainability in Williamstown, design your own instrument from recyclable materials in Greenfield and so much more. ArtWeek is an annual 10-day innovative festival featuring hundreds of unique and creative experiences that are hands-on, offering new ways to experience art and culture. ArtWeek was born in Boston in 2013 and recently expanded its footprint across the Commonwealth. This year, Mass Cultural Council and the Massachusetts Office of Travel & Tourism have joined ArtWeek as Lead Champions in this unique opportunity to shine a spotlight on the state's creative economy. ArtWeek has also secured a network of more than 70 statewide, regional and local collaborators and over a dozen media partners to help promote the upcoming festival. "It has been exciting to watch ArtWeek grow over the past few years," said Blake Jordan, Executive Director, Highland Street Foundation. "With more than 500 unique opportunities, ArtWeek truly allows everyone to participate in the arts, which is part of our core mission." For more information, visit artweekMA.org.